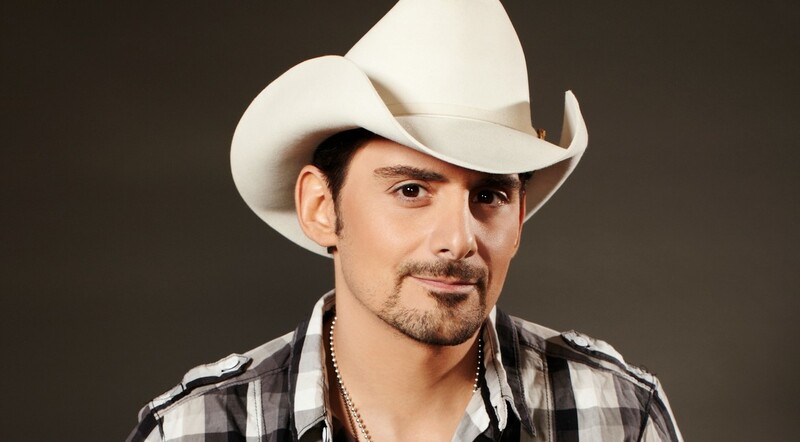 Until 2013 Brad Paisley was the most liked male country star by critics who didn’t write about country. His politics were right. He was easy on the eyes. No one disputed his guitar prowess. He wrote songs whose jokes didn’t put pathos on the curb. “And then he wrote that stupid song about racism,” as Al Shipley wryly put it. That song is “Accidental Racist,” on which I won’t spend a syllable longer criticizing. Although he still does moderately well on country radio, he no longer scores instant #1s. To my ears his natural sharpness has dulled: where once an inexhaustible talent for writing songs about stuff like toothbrushes, water, and camouflage lent his albums some welcome suspense — I wondered what he’d get away with next — now I see the wrinkles and seams. I suspect critics who embraced him as a token because he wasn’t Toby Keith (whose own momentum has stalled) have moved on and it’s made Paisley sad. Meanwhile country has moved on to Sam Hunt and Thomas Rhett, whom I like with caution but whose commitments to hip hop and R&B come more naturally because they’re sluts who’ll hire any tunesmith who’ll guarantee hits that’ll pay the gel bills. But don’t count Paisley out. In the list below I emphasized the Songs About Stuff, including a newly minted hit called “Today” that’s inspirational without the embarrassment of seeing The Power of Now on your lover’s nightstand. The right of suffrage was much more diffusive in the Northern than the Southern States; and the latter could have no influence in the election on the score of Negroes. In twentieth century English, Madison meant to say that to counter the majority of Northern votes the South had to count its slaves as part of its total population, hence the origin of the Constitution’s Three-Fifths Blight, er, Clause. Scott Lemieux joins the growing list of intellectuals (I remember Hendrik Hertzberg as a loud partisan) who over the years have called for an amendment that eliminates the Electoral College and leaves the popular vote count as the only legitimate means of tabulating winners in presidential elections. “There is a certain dark irony to the fact that a system designed to prevent the people from choosing an unqualified demagogue has resulted in the election of an unqualified demagogue not chosen by the people,” Lemieux writes. The trouble is, since 2000 the Democrats have lost two of the last five electoral counts; it would take a GOP defeat for any serious discussion about reform to start, let alone to propose any constitutional amendment. I’ve cooled off on the grumbling at friends who hang on to Hillary Clinton’s considerable popular vote lead as a, ahem, mandate to oppose Trumpism. This presidential election was no “referendum” on liberalism; forty-five percent of voters said in exit polls that they wanted the next president to be as or more liberal than Barack Obama. The election is a hockey stick across the face of complacent Democratic leaders who have had no interest in shoring up candidates at the state level. In the meantime, the Democrats need to emphasize that Donald Trump was not the people’s choice. Paul Ryan has already claimed a mandate for a radical and deeply unpopular policy agenda. More people voted for Clinton’s agenda, which should be a good reason for Democrats to unite in opposition to put pressure on wavering Republicans in the Senate. The Democratic Party cannot normalize the Trump administration. I trust Chuck Schumer like I do myself around Hendrick’s Gin, but yesterday he sounded like had some fight in him. Here’s how I know the next four years will be difficult: I have to keep my own party in line. Below are the greatest hits and compilations that have most shaped my listening. By no means is it complete. Several of the Essential and Gold entries supersede much fêted predecessors in breadth and, less often, cohesion. Although Robert and the Smiths scored only two American pop hits, ubiquity has given them the profile of a Foreigner or Coldplay. I saw this myself at a June live show. 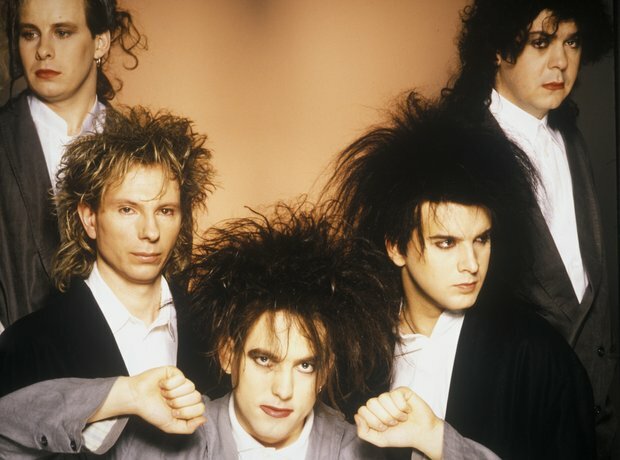 We’ll be hearing “Boys Don’t Cry until Robert Smith hobbles on stage with his black-painted walker. 10. Why Can’t I Be You? I’ve noticed a lot of people on Twitter seem to think Trump’s tweet is scary because it’s false, but the actually scary interpretation is that he believes it’s true, which he probably does. It seems likely that Trump got his “information” from conspiracy theorist site Infowars.com, or someone else retweeting or rewriting Infowars — a lot of weird things Trump says later prove to emerged in the pro-Trump, conspiracy theory-corners of the internet. The problem with Trump isn’t the lies he tells as much as it’s the information he chooses to believe. Consider the difference between a world where Trump is lying to us, and a world where Trump has fooled himself. Trump lost the popular vote, and he lost it by a wide margin — more than 2 million votes and counting. A wise man would take that information seriously and think about how to staff his White House, set priorities, and moderate his message to win over a majority of the public. Instead, Trump appears to have convinced himself the vote count was riddled with fraud and that he won a majority of the legitimate vote — and thus he can govern like a man who won the popular vote, and holds the mandate that carries. More vulnerable are people like Gerardo Murillo Lovo, 44, a construction worker who never had health insurance before signing up for a marketplace plan in 2014. He pays $15 a month and gets a subsidy of $590 for a plan that covers his wife, as well. When he renewed his coverage last week at the Epilepsy Foundation, he learned that the price would not increase next year. My personal opinion is that the president-elect will surround himself with people who, taking advantage of Mr. Murillo’s apathy, will use the congressional advantage to sell the Murillos up the river. Justice Alito peppered several shots at college students into his remarks, such as when he recalled Scalia’s diverse upbringing in Queens. While discussing Scalia’s transformative influence on oral argument, Justice Alito mocked the campus trend of designating physical “safe spaces” free from thoughts with which liberal students disagree. No, it certainly wasn’t when Nino was in the majority: not for women, female workers seeking redress, homosexuals wanting to marry. And it says little about Alito’s education if all he learned from watching the late Scalia at work was thinking What Would Scalia Do. America, we’re in for it. I’m far enough away from December 1980 to say that John Lennon, like his misbegotten mate George Harrison, peaked in the early seventies and spend the rest of the decade recording albums because he had to, in the same way that a janitor has to take out the trash before clocking out. 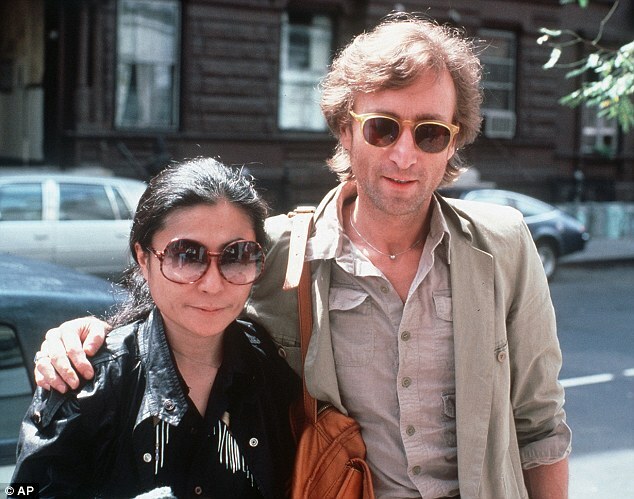 Even Double Fantasy, the first boomer album acknowledging that hey-I’m-forty, boasted too many production reins and corsets to be what The Blue Mask and Freedom later were (for those who think “corsets” is sexist, Yoko’s Season of Glass and her songs on Milk & Honey convey the doubt of an independent mind compelled to play a role — like Lennon did). Yet the songs below form a solo career to be proud of. The guy sang and played guitar like no one else and took himself no seriously than a sixth grade teacher with a bald spot. Smarter than your sixth grade teacher though: his last interviews are a joy. 19. How Do You Sleep? 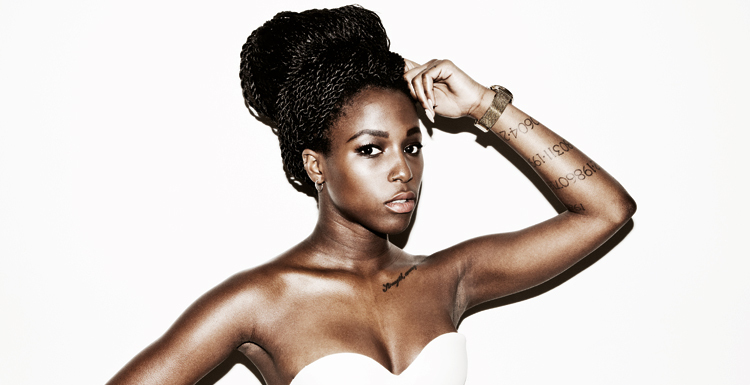 Swede Sabina Ddumba earns my highest score this week in part by showing up every would-be dance track I’ve heard in the last month, including an even worse than I thought Charli XCX track, also reviewed. It’s the sort of week when Keith Urban making like Chris Isaak sounds good over turkey. Although it never crossed over pop, “Trapped” was a fixture on Miami airwaves, a part of that 1985 sweet spot in which Italo disco (Nolan Thomas’ “Yo Little Brother,” Baltimora’s “Tarzan Boy”) and freestyle (Shannon’s “Do You Wanna Get Away?”, any early Lisa Lisa) converged on Madonna. Nevertheless, Colonel Abrams could smile: “Trapped” was massive in the UK, a #3 hit. To learn that he’s dead after being homeless and suffering from diabetes horrifies me. Marvel at the wobbly bass line, what sounds like a synth flute, and the elasticity of Abrams’ Jeffrey Osborne-esque voice. 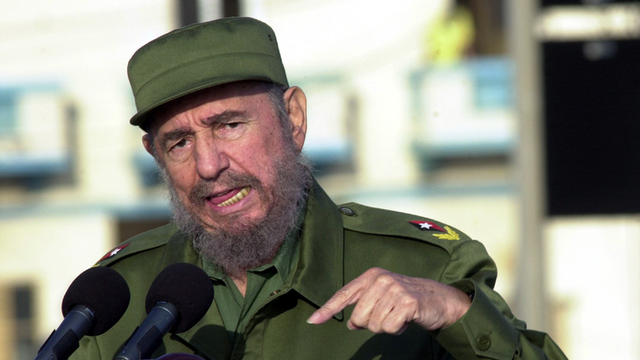 Whatever else Fidel Castro proved that a former vassal state to the United States could have the potency of a symbol long after the country had turned into a sieve, leaking the disenchanted and the persecuted and the bored. The Republic of Cuba was a Potemkin village of a democracy, a colony in all but name even after attaining its sovereignty in 1902. Senate passage of the Platt Amendment ensured that Cuba’s fate was in the hands of el yanqui who sat in the White House. Calvin Coolidge visited the island in the twenties. A decade later, dissatisfaction with Gerardo Machado prompted FDR to send confidante Sumner Welles as special envoy, theoretically to talk Machado into not doing anything that might provoke the United States into enforcing the Platt Amendment; this move destabilized Machado’s government enough to force his resignation. 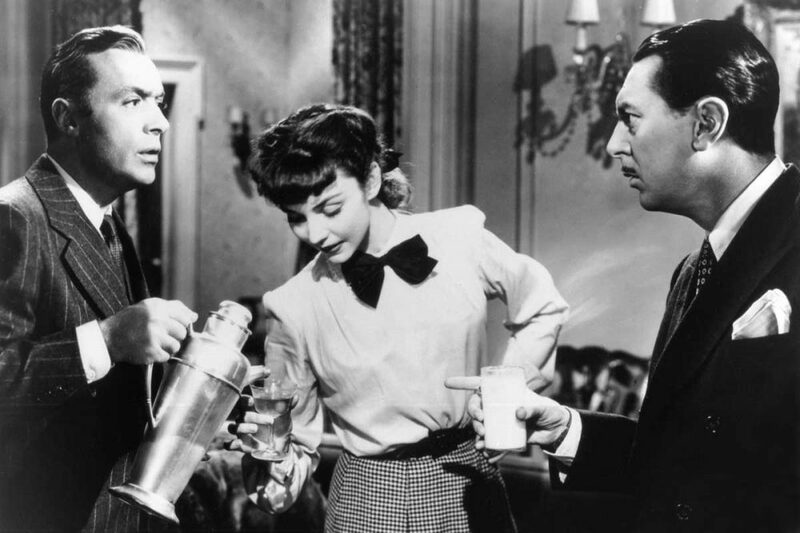 Roosevelt’s man in the State Department until a homosexual incident involving a Pullman car porter made support untenable, Welles had most to do with where the country was headed than any person, Cuban or American. Professing fealty to democratic processes, Welles never stopped reminding a half dozen Cuban presidents who was boss; he wielded his ever-present cane like a scepter. I excerpted the Vidal passage above because Welles and his turn of the century predecessors John Hay and Elihu Root were part of the same lineage. This feudal lord refused to recognize Ramon Grau San Martin’s government after Grau rescinded the loathed Platt Amendment (an earlier four-month presidential term in 1933 ended when Fulgencio Batista and Welles whisked him out of office). Nevertheless, under Grau Cuba enjoyed its longest sustained peace; the Constitution of 1940 is among the most liberal documents produced in the Western Hemisphere, guaranteeing maternity leave and a minimum wage as fundamental rights. Then in a 1952 coup d’état Batista seized power. In the reflection I published today, I called Fidel an aberration and a culmination, like another figure recently elected. He was the twentieth century’s longest lived caudillo, a rebuke to American impotence in the age when Arbenz, Mossadegh, and Lumumba were removed or forced out by Americans (Aquino, Noriega, Saddam would join them). However, too many leftists have a received knowledge of suffering. His support for black African movements compensates for the degree to which black Cubans are not much better off than before the revolution: if the goal is reducing black and white Cubans to a shared vague hunger, then the revolution was a success (Nelson Mandela ended the bigger, nobler man). I’ve written thousands of words on the hypocrisy, propensity for violence, and appetite for power shown by Miami’s Cuban exile elite, but one thing is true: many of them are acquainted with the night. Uncles jailed for ten years for making casual anti-revolution remarks at the University of Havana. Police lighting a man’s books on fire. The regime’s encouragement of prostitution at every level; the whole soceity was on the take. Neighborhood informants to this day. People standing in line for soap and eggs for hours. The drudgery of routine in a totalitarian state, about which Czeslaw Milosz’s The Captive Mind was so keen. I see no largess of spirit, nor generosity; I read the boilerplate of the dreariest sort of ideologue, a boor and a bore with bayonets ready to expel his countrymen on a whim. He doesn’t see these people as humans; they’re pawns of something he calls imperialism that stands for opposition to Fidel. Revolutions matter little if they kill their heirs. I question the good of universal health care and literacy in a country that for a few decades was an abattoir. RUNNERS-UP: Ashes and Diamonds (Andrzej Wajda), Mon Oncle (Jacques Tati). Another example of his fascination with the privileged, artist-approved moment, Crowe’s discursive documentary eschews narrative — it avoids even a point of view. 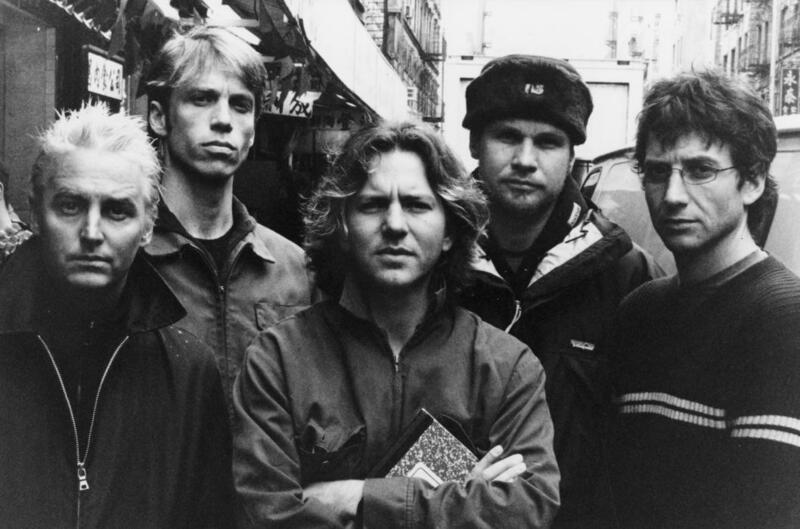 I don’t know what Pearl Jam “means” other than that they became reluctant avatars of grunge, reacted in part to the publicity by fighting a global leviathan, then — well, I’m not sure; among its other problems is no conclusion. Like Scorsese’s George Harrison, which elided the singer-guitarist’s most compelling paradoxes, Pearl Jam Twenty doesn’t even bother to follow the most conventional if reductive of narrative tricks: using biography to illuminate artistic creation. Why did Pearl Jam include an accordion-anchored dada exercise called “Bugs” on 1994’s Vitalogy? How did the band reconcile its punk and post-punk covers (Talking Heads! Dead Boys! Split Enz!) and producers (Mitchell Froom engineer Tchad Blake) and the studiousness with which it massaged classic rock tropes? The answer to a sympathetic non-fan like me is obvious: Pearl Jam took Neil Young’s ethos seriously. Despite his giving them five minutes of air time to the Mirrorball collaboration and an estimable if unsupported preface explaining how Seattle’s weather forced music devotees into loving classic rock, disco, New Wave, and pop with equal fervor, Crowe doesn’t can’t get Vedder or Gossard to admit that, if you’re a band whose collective record collection is so rich, then, to quote Young, it’s all one song. He will not allow for the possibility that in the last five years Pearl Jam has recorded their richest work; 2006’s eponymous album and 2009’s Backspacer are chronicles of, by, and for middle aged male musicians showing the confidence to winnow their influences into a recognizable, quietly weird stamp. Pearl Jam Twenty doesn’t document: it’s inept hagiography. Before her own death in 2008, Mildred Loving eulogized her husband Richard thusly: “He took care of me.” Apart from the Fourteenth Amendment considerations, the Supreme Court case heard in 1967 bearing their name should have pivoted on Mildred’s sentence. Of such ordinary lives are landmark cases made. Homer Plessy faded into obscurity after the Court ruled in 1896 that separate but equal provisions were constitutional. John Lawrence died at sixty-eight of congestive heart failure; reporters found out from reading a funeral home’s website. The Loving case resists the histrionics of cinema, and with Jeff Nichols writing and directing it often resists cinema, period. As low-key as an afternoon spent on a Virginia porch looking at the fields, Loving threatens to dissolve into the early morning mist. By concentrating on Richard’s blue collar work habits and Mildred’s housekeeping and their commitment to their backwoods families, Nichols engages in a anti-glamor glamorization, similar to a a contemporaneous LIFE Magazine campaign that did much to move public sentiment in the Loving’s corner. It’s a solid picture but a bit much; it’s Thanksgiving at a relative’s where you can’t wait to leave. In a performance characterized by a stolidity so determined that it’s as if the camera were caressing a cinder block, Joel Edgerton plays Richard, an albino whose own family in remote Caroline County has dwelt among blacks for at least a generation; indeed, a passing reference to his father having worked for a black man goes unchallenged. When Richard, a jack-of-all-trades best suited for construction, gets the eighteen-year-old Mildred (Ruth Negga) pregnant, he does what was in 1958 the honorable thing: he proposes marriage. Hovering unsaid is the knowledge that Virginia law penalizes such couples with up to five years in prison even when done out of state (the Lovings were married in DC). The unshowiest parts of an unshowy film reveal a man of not much education who on the evidence had no problem fraternizing with black men and women: not just fixing cars and drinking with them but living with Mildred’s relatives. Then in the middle of the night the police break open the door. Richard points, to no avail, at the marriage certificate he has hung on the wall as a Catholic would an image of the Sacred Heart. What follows is a cycle of arrest and calm. The Lovings get what was at the time leniency: suspended twenty-five-year sentences on condition that the couple leave Virginia. They settle in DC, the silent victims of mild discrimination as the black-heavy part of town isn’t quite ready for a mixed race couple. Several years later on a clandestine night trip to Caroline County so that Richard’s midwife mom can deliver Mildred’s first child they are re-arrested. At its best Loving limns the contours of a marriage defined by the most basic of verities, such as a poignant shot of the couple separating so they can sit in two flanking police cars. A white man marrying a black woman in the early sixties and sticking with her was as radical a political statement as the Freedom Rides. As this blog has insisted since its inception almost a decade ago, I hold no truck with the complacent who cleave “the personal” from politics. To be black in America in the twentieth century meant grappling with forces that sought to destroy your body — a leitmotif about which James Baldwin never stopped reminding liberals. Watching the Loving children play in increasingly depressed urban spaces while Mildred in her freshly starched skirt hovers in a cloud of worry is as poignant a reminder of white abandonment of cities as any journal article. Which is why, in retrospect, Nichols’ depiction of Mildred’s unacceptance of the status quo has the power of a fisted glove. With the inevitability that characterized the Lovings’ lives, Mildred writes to Attorney General Robert Kennedy about their case; he refers her to the ACLU, eager to test miscegenation laws with a strong case. But Loving is not one of those movies in which white Ivy League liberals learn Deep Values thanks to contact with the oppressed; indeed, Bernie Cohen (Nick Kroll) and Philip Hirschkop (Jon Bass), as flummoxed by the Lovings’ avoidance of the bold move as the rest of us, do most of their machinations off-screen. Nichols is smart enough to devote a sequence to that LIFE Magazine photo shoot (Michael Shannon has an effective cameo), during which the full measure of the Lovings’ bottomless adoration was immortalized. A director specializing in how the unexpected — the sublime and the horrible — can wreck lives, Nichols after a while earns his faith in the material. The performances by the leads, Negga in particular, couldn’t be improved; even Edgerton’s Heath Ledger-isms start working for him. Apart from one didactic scene in which Richard’s friends ask him what it’s like to feel like a black man, Loving doesn’t err; it’s a film of cumulative power. At its best it shows how the smallest gesture can become a pivot in history.